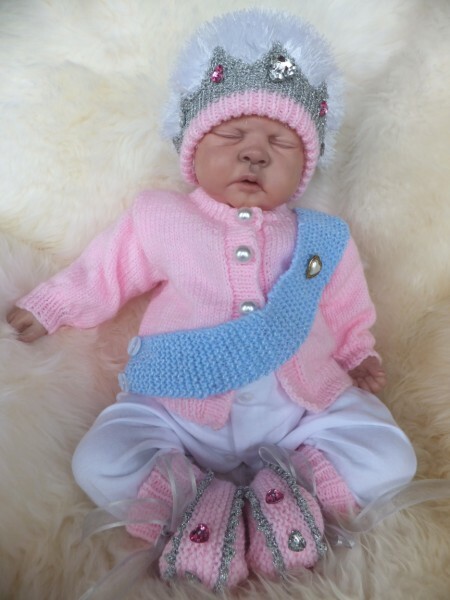 THESE ARE LOVELY LITTLE SETS TO MAKE, BASED ON A HOODED JACKET, LEGGINGS AND EITHER A PLAIN BEANIE HAT OR A LITTLE LACE CAP. I HAVE SHOWN A COUPLE OF VARIATIONS ON THE SAME THEME. THESE SETS REQUIRE A CERTAIN AMOUNT OF SKILL BUT THE INSTRUCTIONS ARE DETAILED. TO FIT 16 INCH CHEST ABOUT 0-3 MONTHS.  THIS IS THE PATTERN FOR 5 DIVINE, 3 PIECE SETS TO KNIT. 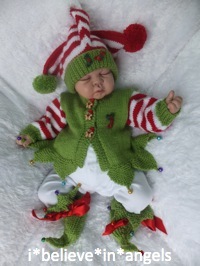 COMPRISING OF A CARDIGAN, HAT AND BOOTIES, ALL TRIMMED UP AS PENGUIN, A ROBIN, AN ELF, AN ANGEL AND A CHRISTMAS PUDDING! LOVELY SETS AND QUITE EASY TO KNIT BUT NEED SOME CONCENTRATION TO MAKE UP. TO FIT 16 - 18 - 20 INCH CHEST ABOUT 0-3 , 6-6 AND 6-12 MONTHS. A MODERATE AMOUNT OF SKILL AND PLENTY OF PATIENCE REQUIRED. 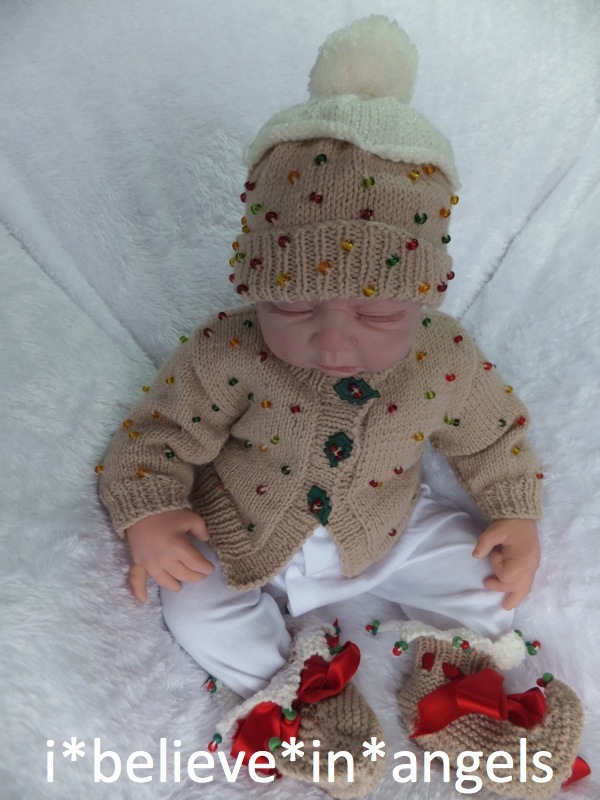 THESE ARE LOVELY LITTLE SETS TO MAKE, EITHER A ROMPER WITH A MATCHING HAT AND PAIR OF BOOTIES, OR A STRIPE CARDIGAN, TROUSERS, STRIPED HAT AND BOOTIES. BOTH SETS HAVE A SQUARE SAILOR COLLAR, AND THEY CAN BE KNITTED WITH OR WITHOUT STIPES. ALL TO BE MADE IN UK DOUBLE KNIT WEIGHT YARN (US SPORT WEIGHT AND AUS. 5 PLY). TO FIT 16 INCH CHEST ABOUT 0-6 MONTHS. 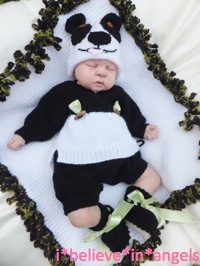 LOVELY FUN LITTLE SET DESIGNED AS A PANDA, BUT I ALSO MADE IT AS A BEAR WHICH LOOKS GOOD TOO. 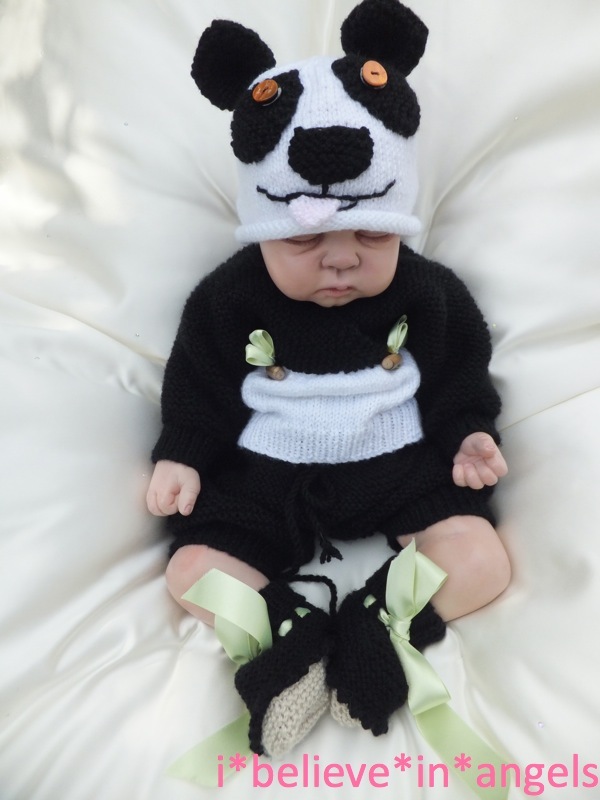 THE SET IS A JUMPER, WITH A CROSSOVER FRONT AND A FASTENING AT THE BACK, BAGGY PANDA PANTS, A FANCY PANDA/BEAR HAT WITH EYE PATCHES, NOSE AND EARS, BOOTIES AND AN EASY BLANKET WITH A KNITTED FRINGE EDGE. 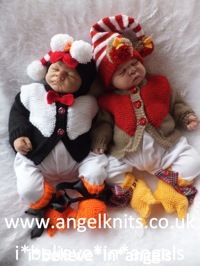 THE SET IS MADE IN UK DOUBLE KNIT WEIGHT YARN (US SPORT WEIGHT AND AUS. 5 PLY), THE BLANKET IS IN CHUNKY (BULKY). THIS SET REQUIRES SOME BASIC SKILLS BUT EVERY DETAIL IS WORKED OUT FOR YOU IN THE PATTERN. THIS IS A LOVELY SET TO KNIT . THIS IS A LOVELY SET TO MAKE, VERY CHALLENGING BUT WELL WORTH THE EFFORT, DESIGNED ALMOST AS A SISTER TO 'PATIENCE'. 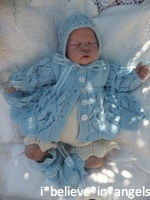 THE SET IS A MATINEE COAT WITH A FULL FANCY SKIRT (THIS ONE IS KNITTED IN 3 PIECES, BACK AND 2 FRONTS) A MATCHING BONNET AND BOOTIES AND A FANCY FULL ROMPER. THIS SET IS INTRICATE TO KNIT AND REQUIRES AN ADVANCED SKILL LEVEL OR IF YOU ARE MORE OF A NOVICE IT IS A CHALLENGE, BUT EVERY DETAIL IS WORKED OUT FOR YOU IN THE PATTERN. 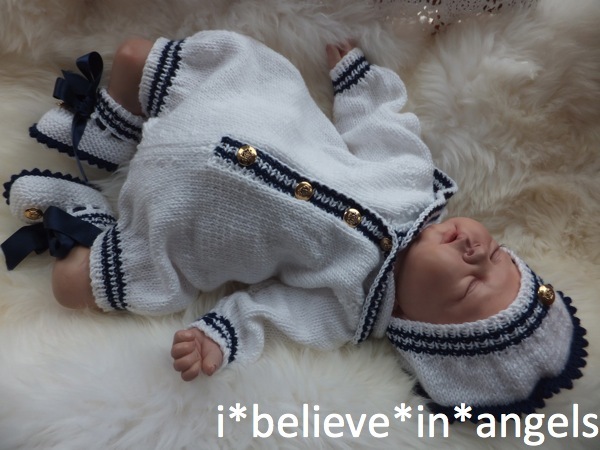 THERE IS A CHOICE OF 2 SETS ON THIS PATTERN, A ONE PIECE ROMPER WITH FRILLS AT THE LEGS WRISTS AND NECKLINE, AND A 2 PIECE ANGEL TOP, WITH FRILLS ALL THE WAY ROUND THE LITTLE DRESS AND CUFFS, AND ALSO ON THE LEGS OF THE ANGEL PANTS. THIS IS A LOVELY SET TO MAKE, VERY CHALLENGING BUT WELL WORTH THE EFFORT, THIS SET WAS CALLED 'PATIENCE' FOR A GOOD REASON. 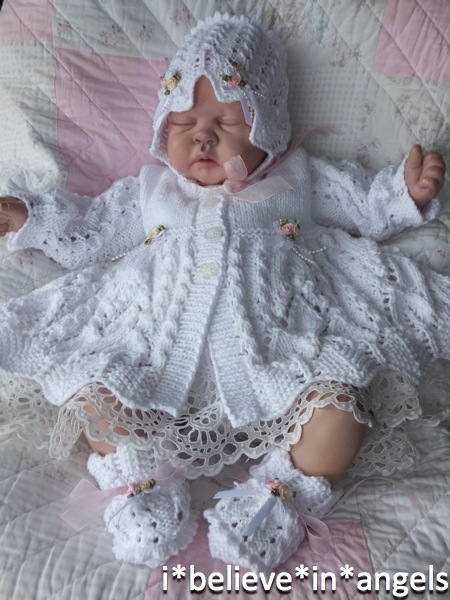 THE SET IS A MATINEE COAT WITH A FULL FANCY SKIRT (THERE IS ALSO A VERSION GIVEN WITH A SIMPLER SKIRT), A MATCHING BONNET AND BOOTIES AND A PAIR OF FANCY BLOOMERS. 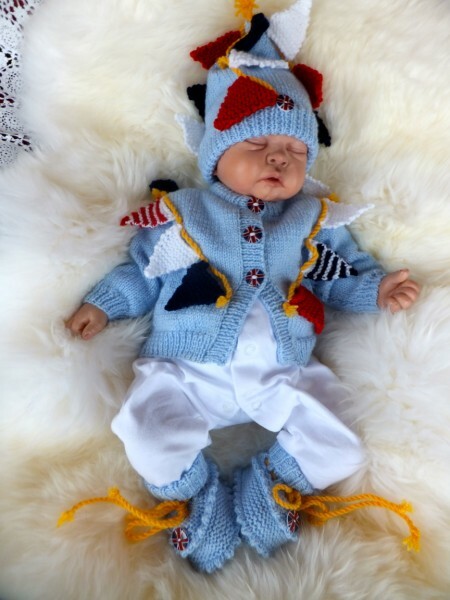 THIS IS THE PATTERN FOR 5 DIVINE 3 PIECE SETSTO KNIT WITH A VERY PATRIOTIC THEME. 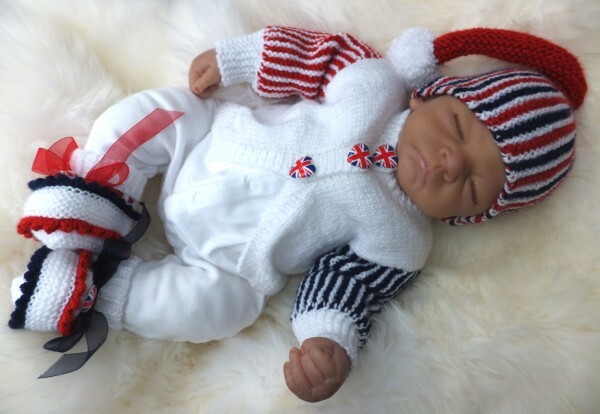 COMPRISING OF A CARDIGAN, HAT AND BOOTIES, ALL TRIMMED UP AS HER MAJESTY, CROWN JEWELS, BABY BUNTING, JACK FLAG, AND BEST OF BRITISH. LOVELY SETS AND QUITE EASY TO KNIT, EVEN THE STRIPY BITS! 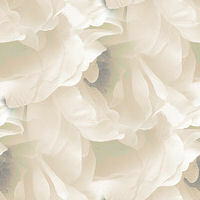 I'VE HAD GREAT FUN COMPILING THIS PATTERN. TO FIT 16 - 18 - 20 INCH CHEST ABOUT 0-3 , 3-6 AND 6-12 MONTHS. THIS PATTERN WILL BE SENT VIA E MAIL ONLY AND HAS PICTURES THROUGHOUT. LOVELY TO MAKE, A MODERATE AMOUNT OF SKILL IS REQUIRED. TO BE MADE UP IN DOUBLE KNITTING (US. SPORT WEIGHT YARN OR AUS. 8PLY). 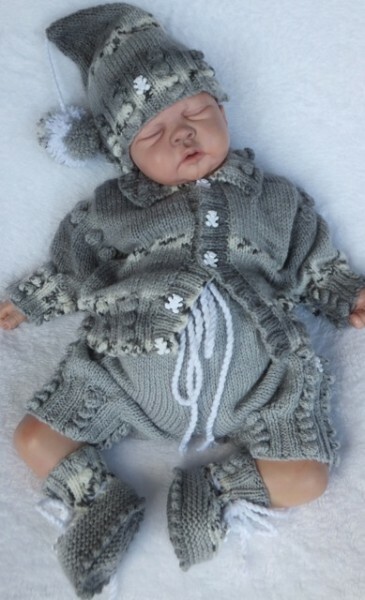 TO FIT A 0-3 MONTH BABY OR A 19 - 22 INCH FULL SIZED REBORN DOLL. 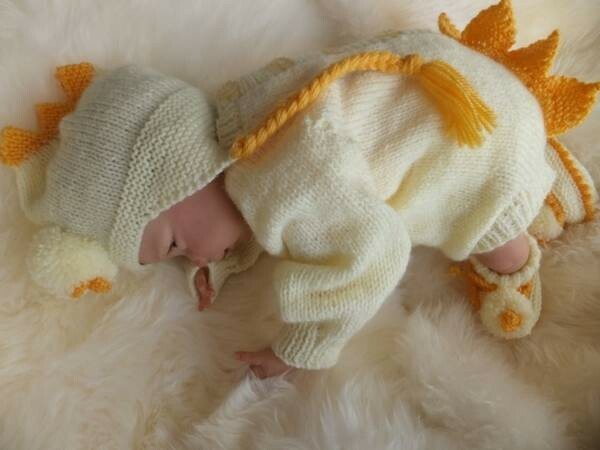 THIS IS THE KNITTING PATTERN FOR A LONG SLEEVED BODY SUIT, HAT AND A PAIR OF BOOTIES, BUT WITH INSTRUCTIONS TO TRIM THEM UP AS , BEA BUNNY, LUCY LAMB, CHICK FLICKS AND SWAN HILDA! OH, I'VE HAD GREAT FUN DESIGNING THESE! RELATIVELY SIMPLE TO COMPLETE, A SMALL AMOUNT OF SKILL IS REQUIRED. TO BE MADE UP IN DOUBLE KNITTING (US. SPORT) WEIGHT YARN, THE LAMB REQUIRES A TEXTURED YARN AND THE SWAN A FUR YARN, BOTH IN DK WEIGHT.